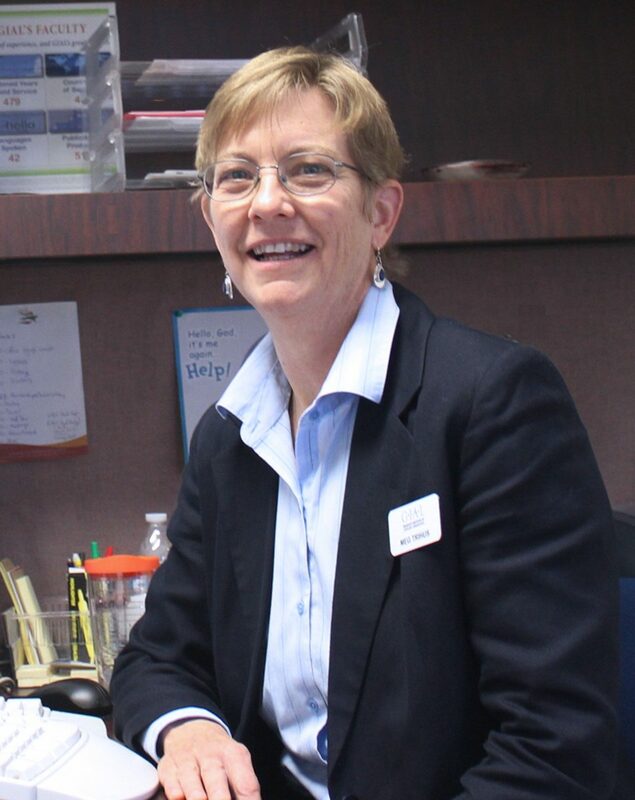 As Dean of Students, Meg especially enjoys serving the students by counseling and advising students in a variety of areas. She also heads up the student services team, coordinating everything from recruitment to alumni relations and everything in between. Before becoming Dean of Students, she spent 18 years in Cameroon where she was involved in orienting newcomers, as well as doing team building and career guidance. Upon her return to the US, she spent 8 years as Director for Learning and Development for SIL International. In that role she helped many people as they transitioned into management and leadership. Now she is able to use those skills to help students. Outside of work Meg enjoys cooking, bike riding and making a joyful noise on the guitar or piano. Meg’s husband is a computer programmer working for SIL. She has two grown children, Samuel (married to Alex) and Lisa. Meg enjoys her involvement with her church where she leads a ladies Bible study on Sunday evenings. She and her husband also lead a Family Grace Group through the Mental Health Grace Alliance, which is aimed at helping families cope with the challenges of having a loved one with a mental health difficulty. Meg has undergraduate degrees in Civil Engineering and Spanish. She spent a year in Argentina as an exchange student after high school, and was fluent in Spanish upon her return. However, learning French replaced her Spanish abilities, so now even though she understands some spoken Spanish, if she tries to speak, French comes out. Meg grew up in Minnesota, where her favorite sport was Cross-country ski racing. Living in Cameroon and Texas she has had to give up that love. Her favorite book of the Bible is Habakkuk, because it reminds her that God’s ways are not our ways, and to trust that God is at work no matter what the circumstances may look like.